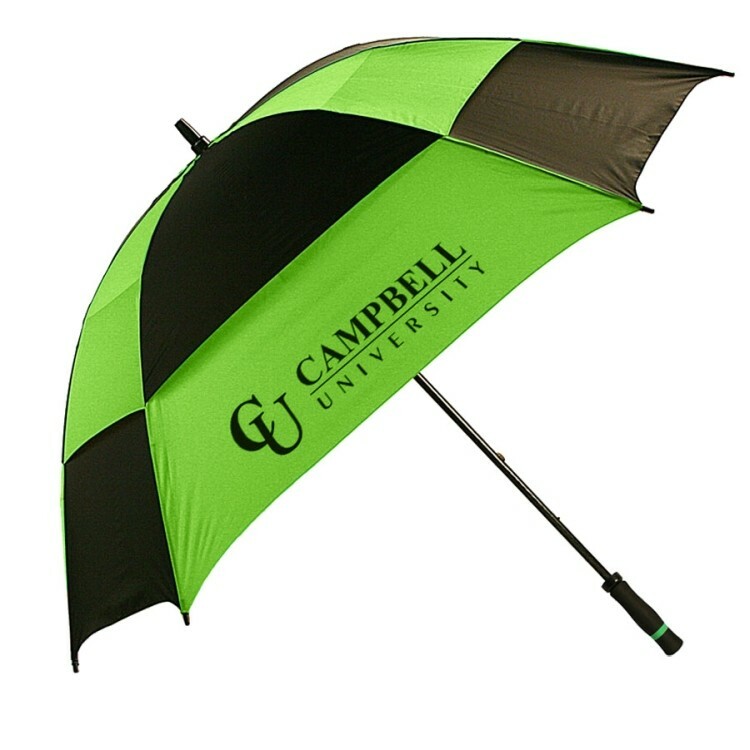 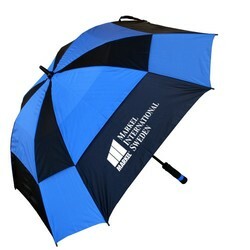 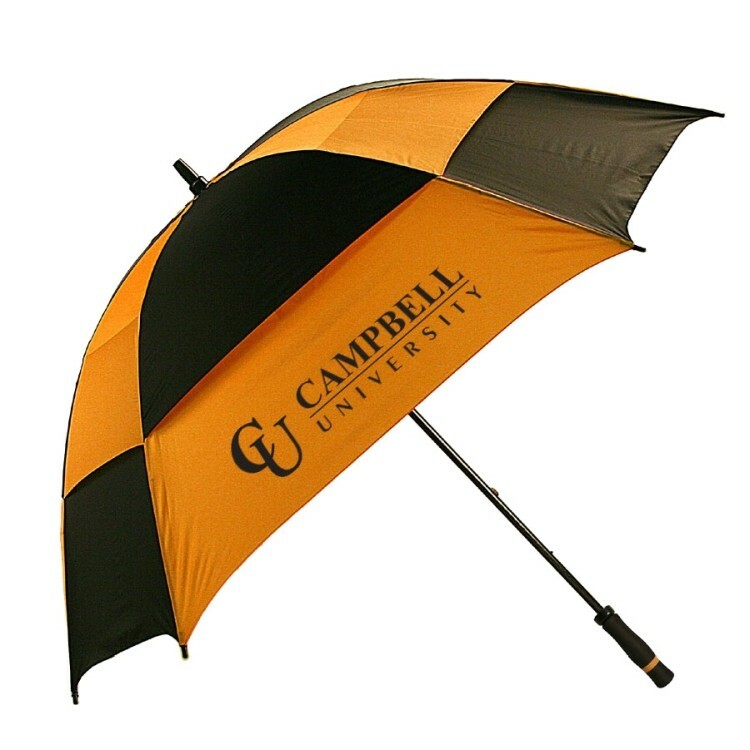 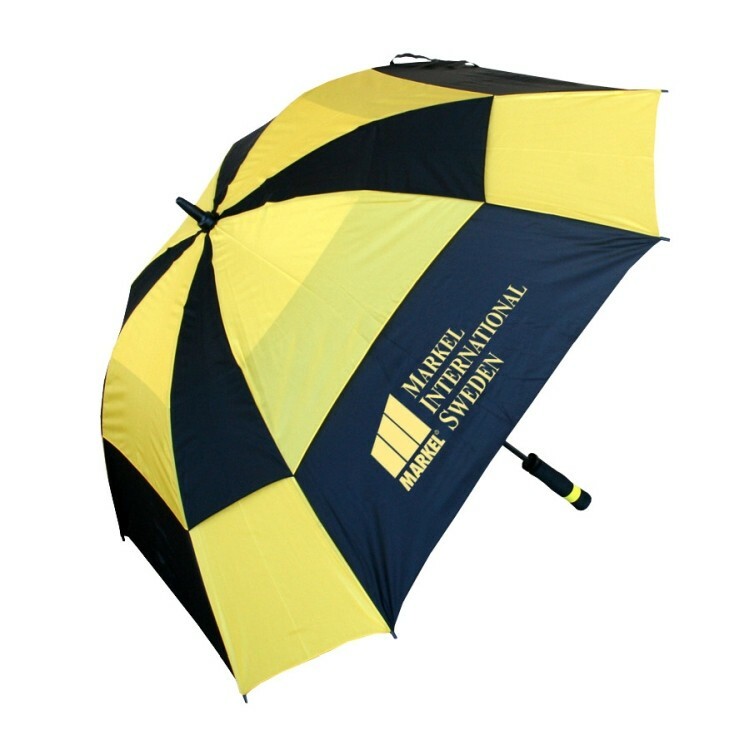 Lightest Weight Golf Umbrella Unique square shape provides maximum logo exposure! Fiberglass shaft and ribs with EVA handle and matching sleeve. We've put a square peg (umbrella) into a round hole (sleeve) with our newest addition to our golf collection. This eye-catching behemoth has a 60" arc, fiberglass shaft and ultra soft EVA handle. 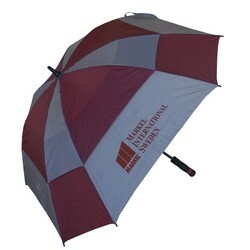 Its vents add form to function (when open) offering a checkerboard-like pattern. Its square shape makes it easy to securely lay on its side (like a lean-to awning) for shade or privacy at the beach or on picnics.